Made you look. Kidding, of course; tell everyone! According to all the candid feedback and written evaluations, our recent third episode of North by North Shore was a resounding success. For you numbers types, the written evals pegged it at a 4.8 out of 5 (where 5 means “strongly agree”). Thanks also for your great “fill in the blank” suggestions! NXNS continues to evolve for the better thanks to your ideas. You don’t need to be wearing a Bruins uniform these days to know that it takes a team. We couldn’t have done it without the Fab Faculty, an enthusiastic volunteer staff, some new audience members, the Rogue Wave (you know who you are), and a cadre of familiar faces and repeat attendees. Get to know our local Faculty experts better; their approachable good nature and deep domain expertise could be the trump card for growing your venture and winning new customers. After a little post-production work, all the Session presentations will be available linked directly from this site. If you haven’t yet subscribed here, please do it today so you can be notified of that update as well as upcoming event dates, early discounts, and other cool insider stuff. Maybe you’ll be tagged in a photo or reminded of a key point that could improve your effectiveness and further extend your NXNS benefits. Sign up! It feels that way sometimes, though. Actually, those who know me well know about that previous life chapter of mine. Anyway, thanks for the stage rush – that is, all of you who came up during and afterward yesterday, graciously volunteering to get involved and asking for more. If that isn’t a testimonial, I’ll eat the projector. Safe bet. As is my custom, I will reach out personally to each of you soon (before/after a mini-vacation) to chat further. Or, heck, you could just call me. Either way, chat soon! Question? Call. 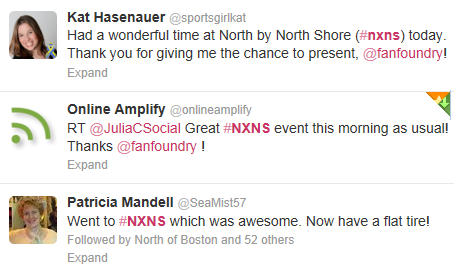 Feel free to blab about #NXNS to your networks early and often. If you know of a person or group you think would benefit, help me make that connection so we can discuss ways to extend the benefits to your group. Use the comment box on this page, tweet to me @fanfoundry, or send an email, or call. All my contact info is available by clicking here. Got tickets? Great, then surf on over to the Agenda page to view more information and plan your session attendance. No tickets yet? Head on over to our EventBrite ticket page to check availability and pricing updates. All discount Promotion Codes expire Friday, June 14 at 9 PM. NSTC and YENS members, don’t forget to apply your member discount Promotion code! Check your organization’s email / website / Facebook pages for those Promo code details. Still Stuck? Leave a Comment here. We promise to honor discounts for all legitimate inquiries, as long as you leave a Comment here before the 9 PM Friday June 14 deadline. Oh, and if you are not a NSTC or YENS member but are acquainted with one of our Faculty, hit them up for their top secret code. Save money, learn and have fun. Sign up to follow this blog and keep updated. We have added more details on our powerful, talented group of seasoned presenters and their Session descriptions on the Agenda page to help you decide which sessions you’d like to attend. You can also download a printable version of the June 18 Agenda by clicking this link. Another reason to sign up for this blog: future events. We are already at work planning the September 2013 Agenda. You don’t want to miss the next “Rogue Wave” deeply discounted pricing offers when they are announced. We look forward to seeing you at 7 AM breakfast at this beautiful harborside location, Danversport Yacht Club. Wish for warm sun, so we can enjoy networking on the beautiful landscaped patio and garden grounds. Oh, the indoor facilities are quite nice, but the outdoors…wow! Repeat after me: No rain! We’re back, by popular demand! Why are these deep-dive, learn-live business lab events so popular? Because in a mobile, social world, the new arena for business is, well… everywhere. And our faculty of local experts can help you stay on top of the changes. Give us a morning, we’ll demo the playbook, live and local. Today, audiences and buyers use an array of channels – like Facebook, Twitter, LinkedIn, YouTube, and many others – to buy, converse, explore, share, learn and decide. A recommendation from a friend or a satisfied customer is, more than ever, the most trusted reason for buying. Knowing this, many local businesses have had social, mobile and digital efforts underway for a few years, and the success patterns are still emerging. Who is succeeding? What does a success story look like? How can you move from experimental to impactful? Join us on June 18 for those answers, as this team of experts opens their playbooks. This is a learn-live, deep-dive experience aimed at showcasing local success stories, explained by the business owners and experts who made it happen. Learn from your peers! Subscribe to this blog to get agenda updates and session descriptions, coming soon! Special “Rogue Wave” (30% off) discounted ticket sales ended May 24, but other offers are still available if you belong to one of the groups named here. All event tickets include full breakfast and networking session, access to up to 2 workshops, all plenary sessions, plus special access to outdoor patio (weather permitting). If you are a member of North Shore Technology Council (NSTC), Young Entrepreneurs of the North Shore (YENS), or North Shore Chamber of Commerce, you will receive special instructions from them on discounted pricing via by email or their choice of media. Watch for it in their email, LinkedIn and Twitter channels! Who should attend: business leaders who want to understand and leverage digital marketing and sales advancements, including mobile and social media and tech tools, to set a framework for success. 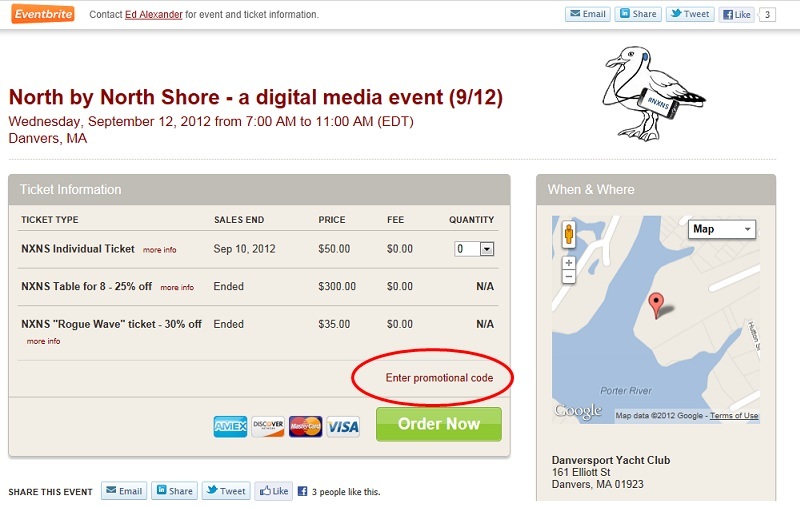 North Shore Technology Council members enjoy discounted admission prices. Members will be notified of the discounted ticketing process. If you are not a member, consider joining and reap the benefits of the North Shore’s most connected business organization! You can design your own adventure using Google Moderator; use the “Plan” link in the side column to weigh in with questions and topic requests. The audience is expanded to include leading business, media, higher learning, and entrepreneurial organizations. We have extended the schedule and expanded the program from 4 sessions to 6, allowing ample time for “deep dive” demo, discussion, networking and learning! 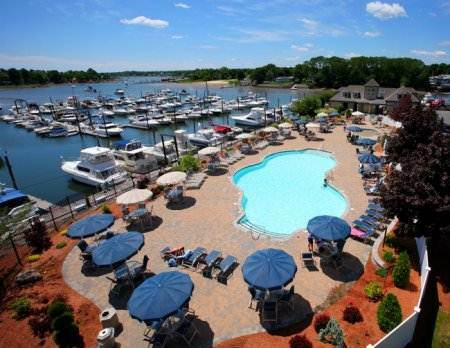 About the location: Join us at high tide on June 18 at Boston’s premier seaside event venue, Danversport Yacht Club. Mingle with business leaders and thought leaders. Assemble your playbook for business success. Make these (planned) quarterly events a must-do for growing your business. Thanks, all, for a successful inaugural year! We are busily planning more events on the North Shore and environs, in collaboration with several local Chambers of Commerce and other Boston area civic and business organizations. Already a number of additional expert speakers and new partners have been identified. Of course, some of our sensational, effective alumni faculty will be back by popular demand. You can access all the previous event recaps, including agendas and workshop presentations, at this site. Enjoy! This year’s event agendas, including dates and locations, will be firmed up and announced in the coming weeks. Subscribe to this Blog for all the updates! We do not share your information, except to deliver on our own promise of a quality event experience for you. There are many ways you can participate and benefit. Use the handy links in the right sidebar to chime in. Business Leaders: If you think your business could benefit from learning how to leverage modern sales and marketing techniques presented by local leading practitioners in an affordable, convenient local half-day event format, use the handy subscribe link in the right sidebar to Follow this Blog. You will be notified of special pricing, event updates, and all related information, in a mobile-friendly format. Membership Organizations: If you need a turnkey, professionally produced Digital Media event to boost member satisfaction, contact us. Business Success Stories: If you have had success using modern sales and marketing techniques, and would like to showcase your success story in front of an eager audience, we welcome your participation. Digital Media, Sales & Marketing Practitioners: If you would like to lend your expertise and present a workshop geared toward (a) company leaders, (b) sales and marketing professionals, (c) small business entrepreneurs or (c) media agency practitioners, sign up to Speak. Take a look at our past Agendas for ideas on the types of Content themes we welcome. Product and Service Providers: get your message in front of a relevant audience by signing up to Sponsor. As before, special “Rogue Wave” (early, discounted) tickets will be made available in limited quantities. Limit: 2 tickets per purchase transaction. Prices will rise after they go, or the deadline expires – whichever happens first. Thanks and we look forward to helping you succeed in 2013! Thanks, everyone, for another successful 2012! Judging from the the pre- and post- event kudos on Facebook, Twitter, Pinterest, LinkedIn and beyond, a stimulating experience was had by all. Use hashtag #nxns to find related commentary and add your own. Special thanks to John Thompson of Comcast Business Class, our Lead Sponsor, for the huge tailwind. As promised, you can access the 2012 presentations here. Requires a (free) Dropbox.com account. Here is the Agenda page for September 12, with more handy links to speaker biographies, action photos, previous event archives and more. Here are a few pictorial highlights of the day. Are you there? Tag! Left: Keynoter Kathryn Rose, co-Producer Ed Alexander, Featured Speaker Sue Zimmerman and co-Producer David Cutler. Right: Megan G. has a follow-up question for SEO session expert Hans Riemer. Left: John Thompson of Comcast kicks off the day. Center: Julia Campbell elaborates for her Social Throwdown audience. Right: Author Kat Rose (L) has a customer – Pat Mandell. L: Panelists Ed, Sue and Kat discuss audience questions on “productizing” a service. C: Judy Parisella leads a session on LinkedIn for Business. R: Some of keynoter Kathryn Rose’s attentive audience. L-R: David leads the Panel. Ed’s CRM / Email session. Chris J and Kat H chuckle. Julia tweets live. We are busily planning more events on the North Shore and environs. Already a number of expert speakers and new partners have been identified and the Agenda will be updated as things get firmed up. As before, special “Rogue Wave” (early, discounted) tickets are already on sale in limited quantities. Limit: 2 tickets per purchase transaction. Prices will rise after they go, or the deadline expires – whichever happens first. If you are, or know of, either a dynamic, experienced speaker or a North Shore digital “success story”, use the handy links in the sidebar menu to get involved. To help you get an idea of what to expect at our upcoming North by North Shore event on September 12, here are two videos showing highlights of our successful June event. Special thanks to our friends at Stone Digital Productions, and to David Cutler for his editing expertise on the second video. Got a Discount / Promotion Code? If so, when you register to attend at our EventBrite registration page, click the “Enter Promotion Code” link (circled in the example above) to enjoy an instant discount on your registration fee. Even if you don’t have a Promotion / Discount code, you’re still going to enjoy thousands of dollars worth of expertise we’ve assembled under one roof in nearby Danvers, plus an audience of business leaders for making great new connections! Cheers, and we look forward to seeing you on September 12 in Danvers! Digital Success Stories – Are You One? Do you have a great digital media success story to tell? Have you used a social or mobile channel (Blog, LinkedIn, Twitter, Facebook, mobile app/website, event, Pinterest, FourSquare, other) to boost results for yourself or an organization? If so, we’d love to give you a “cameo appearance” at North by North Shore. 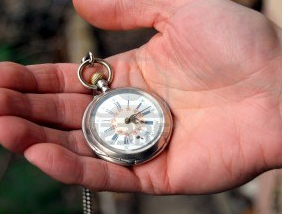 Maybe you’ll even be chosen for a one-hour focus session, if you like. Either way, you’ll enjoy great publicity for your success in front of a live audience, and thousands more of our followers – and maybe generate even more lift for your already stellar results! Just tell your story here – or click the “Tell a Success Story” link in the sidebar on any page of this site – and get your story the daylight it deserves. For best results, come to the next North by North Shore event (check ticket availability here) and get the chance to swap learning with colleagues, get a live shout-out, do a little live Q&A, maybe a photo-op, and of course bask in the glow of your newfound fame. Not that it matters…right? How you format your story is up to you. A couple of Powerpoint slides would be great, because you can include images and business logo elements exactly as you’d like them to appear on the big screen at North by North Shore. You can include photos, video, slides or just send a narrative. Just click the link and follow the form.